Coffee and tea fans, take heed: there's a new spot in town to get your fix. Called Sip of Hope, the new arrival is located at 3039 W. Fullerton Ave. in Logan Square. 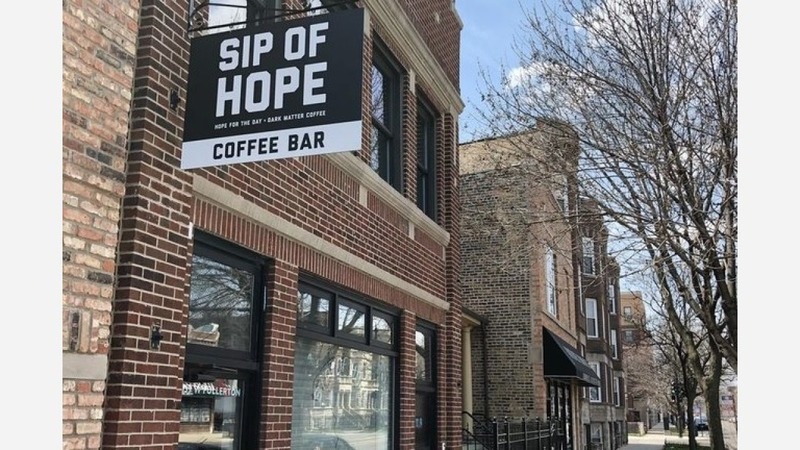 Sip of Hope is a new nonprofit coffee shop in Logan Square. Operated by Hope For the Day, a mental health charity, its goal is "educating as many people as possible on mental health issues, removing stigmas around an issue many struggle with every day," Eater reports. All of Sip of Hope's staff is certified in Mental Health First Aid, and the shop's proceeds will go towards proactive suicide prevention and mental health education. The coffee shop serves drinks with beans from Dark Matter Coffee, with classic favorites like espressos, lattes, mochas, macchiatos and more. West Town Bakery will provide the pastries. Sip of Hope has gotten an enthusiastic response thus far, with a five-star rating out of six reviews on Yelp. Stephen S., who was among the first Yelpers to review the new spot on May 15, said, "Why does Logan Square need another coffee spot? Value. Not value in terms of how it impacts your wallet. Value in terms of how it impacts the world." Yelper Maricar T. added, "What an amazing concept. Can you believe that 100 percent of the proceeds go to Hope For the Day? Definitely make sure to put Sip of Hope on your list because not only will you be getting a good Dark Matter brew, but you will be donating to an amazing cause!" Head on over to check it out: Sip of Hope is open from 6 a.m.-9 p.m. daily.